In the final message from the Book of Ruth, Pastor Ryan focused on essential principles to guide romantic relationships. These qualities can be applied to other relationships as well. Take some time to discuss the message and apply it to your family or your current life stage. In relationships, it is important to look beyond surface things like appearance and instead look deeper at a person’s character. Reflect on how you met your spouse and take a moment to share that story with your kids. Talk about what attracted you to your spouse. Share about some of the godly characteristics you see in your spouse. Ask family members to affirm one another by sharing godly characteristics they see in one other. What are some qualities (beyond the surface) you are looking for in the person you might want to marry? Pastor Ryan pointed out that we are to seek the best for others. He reminded us that the best picture of love is demonstrated by actions. What are some actions that you see practiced by your spouse or family members that demonstrate love? What is one thing you can do this week to seek the best for others? Remember: True fulfillment will only come through our relationship with Jesus. Take time to pray and thank God for sending Jesus to be our Kinsman Redeemer. Give thanks that Jesus was qualified, capable, and willing to be our redeemer. Do you believe that God has a plan for your life — that He’s working for your good? The Scripture affirms that God indeed has a plan for your life. His plans are ultimately for your good and for His glory. The story of Ruth illustrates the providential and invisible hand of God at work in the life of Ruth, her mother-in-law Naomi, and Boaz, her future husband. What appear to be coincidences in the story are actually indicators of the invisible hand of God at work to weave together a beautiful story of love, redemption, and hope. Pastor Ryan pointed out a key truth from the story of Ruth: God is in control. He is governing, He is guiding, and He is good to His people. Do you believe these truths about God? How have you seen God at work in these ways in your own life? Pastor Ryan also encouraged us to embrace three prerequisites that guided Ruth to the will of God. First, we should embrace God’s faithfulness. God is a good God and we should anticipate Him doing good things. Embracing God’s faithfulness requires that we learn to trust Him even as Ruth did when her future seemed uncertain. What, if anything, keeps you from embracing God’s faithfulness and why? Second, we should participate in God’s plan. The second chapter of Ruth illustrates that Ruth was faithful to do what she knew to do. Although she did not know what was going to happen, she knew that God had called her to care for her mother-in-law. This meant being humble enough to glean in someone else’s field in order to have enough to eat. Are you willing to humble yourself as Ruth did in order to participate in God’s plan? Third, we should anticipate God’s perfect timing. 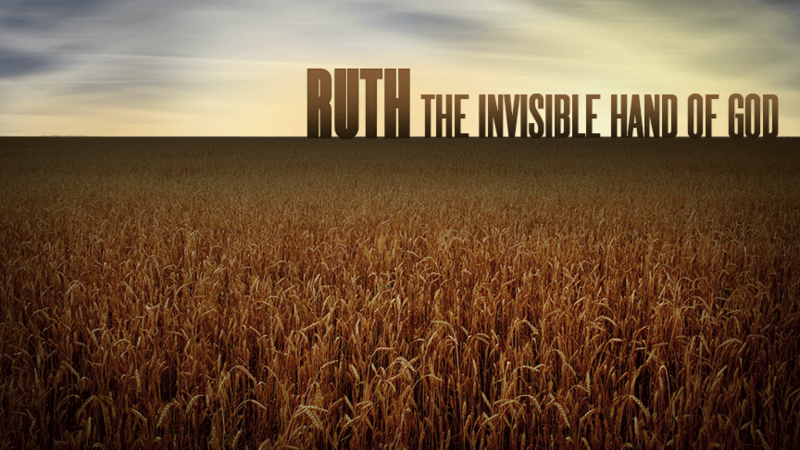 The story of Ruth illustrates that God was at work behind the scenes on behalf of Ruth. Often we don’t realize exactly how God was at work until we stop to look back and connect the dots. Some of those dots may look like coincidences but are, in reality, more than that. They are proof of God’s providence at work. Pastor Ryan defined providence as the activity of God as He guides and governs His created order. Take a moment to look back and take inventory of recent “coincidences” in your life. How do you see God’s providential hand at work in your life?